G suite from Google is way more than a cloud computing tool, it includes various apps for the enterprises. The search giant is making the G suite more secure for the organization to make sure their data is safe. Google is adding new features to G Suite Security that will block the access of untrustable smartphones to keep the company’s data secured. 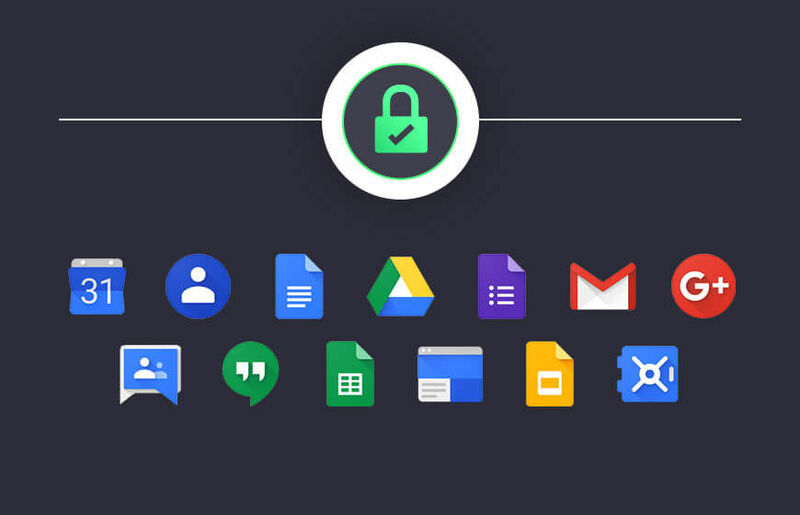 Under the new changes, enterprises can add more security policies for the Android devices that have access to the G suite. Now, the enterprises can add one more layer of security such as a password for the Android that employees uses to access the G Suite. All the devices that did not cling to the stated security policies will be locked out by the non- critical apps. The non-critical Android apps are those that aren't necessary for the phone to function. The apps such as Gmail, Calendar, Hangout, and contacts will be disabled when an insecure Android phone tries to access the G Suit Android apps. However, the Messages and Dialer app which is required for the smartphones to operate will remain active. “With that in mind, the Device Policy app will now disable access to non-critical apps* on any work profile or company-owned Android device that it determines is non-compliant. Users will see a notification informing them that their device violated a security policy and some apps may be disabled. Those apps will be re-enabled when their device complies with all of the organization’s security policies”, Google mentioned in the blog post. For iOS devices, the security prospect will be handled by Google Mobile Management. It will allow the admin to block the corporate data to save it from getting compromised using the admin console and restrict the jailbroken iOS devices. The admin can turn on the security function by going to Device Management > Advanced Settings > Security. In order to turn on the feature, the enterprise should enable the Advanced Mobile Management First. Once the security is active, the users need to install the Google Device Policy App. The app will check the iOS device everytime it tries to access the G Suite iOS apps and block the access if it failed the check, for more details you check here.